The 2018 Ford Fusion is all about choices. While the car itself hasn’t drastically changed from the 2017 version, there are enough options to satisfy anyone looking for a modern sedan with extra performance, fuel efficiency, safety, and other perks. Between the five main trims, extensive drivetrain options, and Ford’s top-notch safety features, there is very little to miss when it comes to building the perfect version of the Fusion. The basic specs of this car vary depending on the trim and engine option you choose. Starting with a base price of $22,120, costs and options go up with the higher trims. For performance, you can choose between 175 horsepower with the basic four-cylinder 2.5L engine all the way to 325 horsepower from the 2.7L twin-turbo V6. Fuel economy ranges from 17/26 to 21/32 city/highway. New for 2018, there are also hybrid and plugin options that can increase efficiency to 43/41 MPG. Finding the features you need is easy when looking at the basic Fusion packages. The basic S, SE, and Titanium trims sequentially offer more technology like upgraded connectivity, better audio systems, and more engine options. For the performance-oriented customer, the Sport package will deliver the most in engine power and AWD control. On the other end, interior feature lovers will appreciate the upgrades the Platinum trim has to offer. Continuing with Ford’s emphasis on options, the 2018 Fusion includes a variety of standard and optional safety features to keep all occupants safe while driving. Standard features include an extensive set of front and rear head airbags, driver/passenger front airbags, and front side airbags. Many of the drivetrain options, particularly the all-wheel-drive system, include intelligent controls to keep speed and traction in check. Antilock brakes are standard on all trims. For AWD, four-wheel disk brakes, traction control, and an automatic stability control will help slow the car during high-speed maneuvers. An automatic brake assist can also kick in to prevent possible collisions. Higher trims also feature Ford’s extensive array of sensors and safety automation. The pre-collision assist system can detect cars and pedestrians in the front to warn the driver and alter the brakes for better control. Blind spot sensors will visually flash a warning on the side mirrors. During parking maneuvers, the parking assist supports parallel and perpendicular parking. With the 12 ultrasonic sensors, the car actively searches for open spots and provides feedback while parking. Cross-traffic alert sensors look for other vehicles while pulling out of a parking spot as well. While little has changed with the 2018 Ford Fusion, the car has retained Ford’s popular approach to a high performing design and plenty of room for customization. 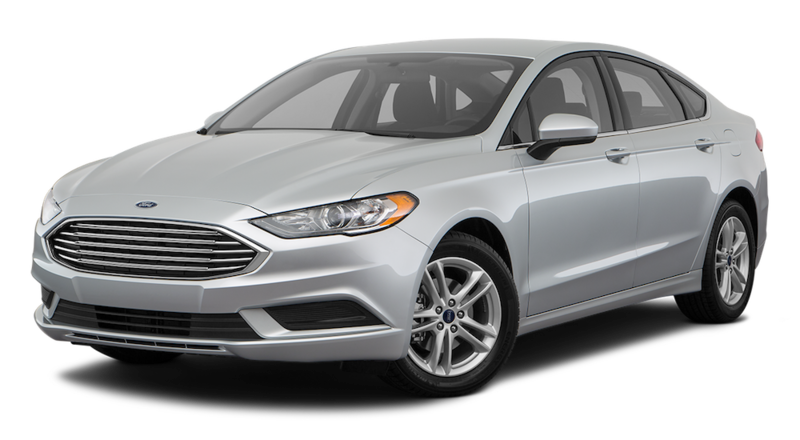 With five primary trim levels that vary in engine, drivetrain, and interior/exterior features, the Fusion’s plethora of options are meant to give anyone looking for a family sedan or borderline sportscar whatever they want. The primary trim levels include the S, SE, Titanium, V6 Sport, and Platinum. The Fusion S forms the baseline trim with a starting price of $22,120. Standard features include Ford’s built-in Sync infotainment system, climate control, push-button start, and rearview camera. Despite the low cost, the car remains compatible with many devices such as smartphones and tablets where the in-car audio system can take hands-free calls. The SE trim offers the same basic package as the S with a few notable upgrades. Security is more convenient with a keyless entry pad placed right on the door of the car. LED lighting and a 4.2in LCD panel make it easier to see outside of the car beyond the view of the windshields. Creature comforts include a driver side power-adjustable seat, rear A/C and heat, and an upgraded audio system. The Titanium package is one step above the SE. Including many of the same features as the S and SE trims, this package upgrades the infotainment system to Ford’s Sync 3 which offers more apps, hands-free controllability, navigation, and more. Audiophiles will enjoy the jump from six to twelve speakers in the interior which can be controlled from the car’s two 4.2in LCD panels. Other upgrades include automatic temperature controls, paddle shifters, heated front seats, and remote start capability. For more performance over interior comforts, the Sport package focuses on exterior upgrades with minimal interior perks. In addition to the 2.7L twin turbo V6, the package comes standard with the intelligent AWD. This system uses traction and pothole sensors to transfer torque where necessary to keep each wheel under optimal control. The exterior also has larger 19in wheels for better performance and LED fog lamps for better visibility at night. At the top of the chart is the Platinum trim. Starting at $36,895, this trim has the most emphasis on interior upgrades. Heated and cooled front seats, leather trim, moonroof, and heating steering wheel are just some of the creature comforts this package presents. There is also a higher level of automation and safety with the Platinum. Lane-keep assist, enhanced parking assist, and the adaptive cruise control comes standard along with a pre-collision detection system. A blind spot monitoring system can also detect pedestrians and vehicles for extra safety. One of the most attractive qualities about the 2018 Ford Fusion is the wide range of engines and transmissions that come with this seemingly common mid-sized sedan. From fuel-efficient hybrid drivetrains to more powerful V6 engines, there is a total of six different options between the engine and wheels. Some are particular to specific trim levels while others are upgrade options you can add on when building the car. The basic four-cylinder 2.5L engine is the most cost-effective option for people wanting the bare bones under the hood. The fuel economy is a decent 21/32 city/highway with the engine putting out around 175 horsepower. This option also comes with a six-speed automatic transmission and is front-wheel drive only to maximize the efficiency without going to a complete hybrid drivetrain. Also within the four-cylinder family, two turbocharged options include a 1.5L and 2.0L engine. Each one puts out 181 hp and 245 hp respectively. Available as optional upgrades on the upper trims, these engines are for drivers needing more performance and power out of their four-cylinder drivetrain. Both engines are paired with the forward wheel drive, but the 2.0L can be upgraded to all-wheel drive. Fuel efficiency is around 21/31 city/highway. Rounding out the top performing tier of the engine options, a 2.7L turbocharged V6 engine sacrifices some fuel economy for more kick. Coming in the new Sport model, this engine is built for performance: 325 horsepower driving a standard all-wheel drivetrain. Fuel efficiency is reduced to just 17/26 city/highway, so this option should be a consideration for people needing more power under the hood than savings on gas in their pocket. Finally, the 2018 Ford Focus comes with a hybrid drivetrain option. Using a 2.0L four-cylinder engine mated with an electric motor, this option nearly doubles the lowest economy to 43/41 city/highway. Using a forward wheel drive, the engine can put out around 188 horsepower during normal use. The battery gets recharged using the gasoline engine or the included regenerative brakes. 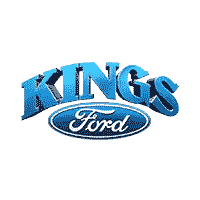 Kings Ford takes pride in our years of quality service and products. Our new and used vehicle inventories are second-to-none when it comes to providing options for our customers. Whether it’s a small sedan, large truck, or commercial vehicle, we keep a plethora of vehicles in stock so you can drive off with what you need on the same day. All of our vehicles, new and used, are given the same quality checkup and maintenance. When you purchase a vehicle from us, you can rest assured that it will be in the best condition possible. Take advantage of our new and certified Ford warranties that will cover unexpected issues and repairs that may arise from time to time. 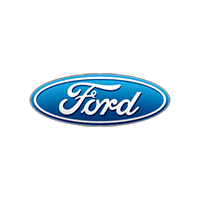 Find the 2018 Ford Fusion in Cincinnati, OH today at Kings Ford.